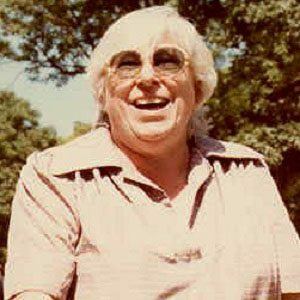 Known pseudonymously as M. Bible, she is remembered for founding and heading a non-profit organization known as American Atheists, as well as for being involved in the famous Murray v. Curlett case, which laid the groundwork for a Supreme Court case called Abington School District v. Schempp that ultimately banned public school-sanctioned reading of the Bible in the United States. After completing her undergraduate degree from Ashland University, she enrolled at the South Texas College of Law, but never seriously pursued a legal career. Tragically, in 1995, she, her son Jon, and her granddaughter Robin were tortured and murdered by criminals David Roland Waters, Danny Fry, and Gary Karr. The daughter of Lena Scholle and Irv Mays, she grew up in Pittsburgh, Pennsylvania, as a member of a Presbyterian family. Following a brief marriage to John Henry Roths, she had relationships with William J. Murray, Jr. and Michael Fiorillo that resulted in sons named William J. Murray III (who became a Baptist minister) and Jon Garth Murray (who joined his mother as a member of the American Atheists). She and Ed Buckner both held the office of President of the American Atheists.